P. 297 x 213 mm. S. 322 x 234 mm. 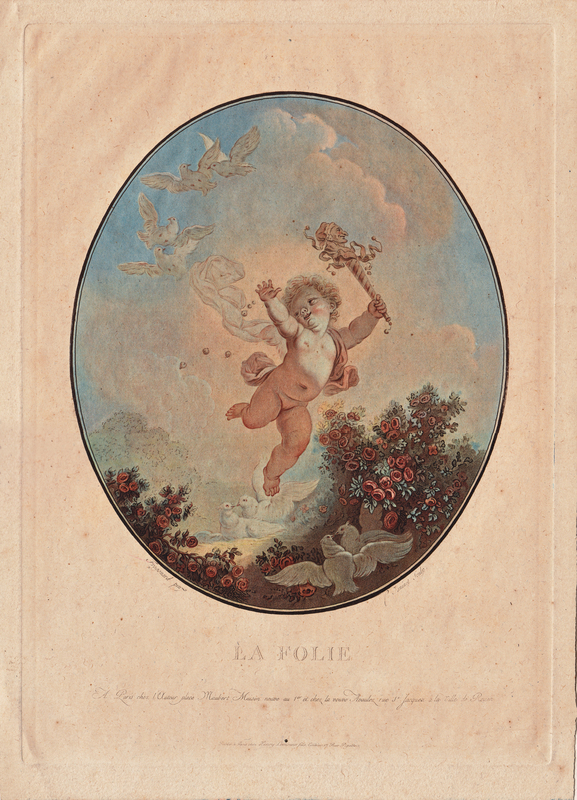 As a pendant piece to L'Amour, (rendered as an earthbound male putto with quiver and arrows*), Jean-François Janinet (and thus Fragonard!) here sought to render alternatively the foolishness of love as a female putto flitting over two pairs of cooing doves and an arched bed of red roses, his rising flanked by a flight of four doves. He carries a jester's staff, and sows a handful of bells to disperse the charm.